Time to exercise one of our most precious rights as citizens. 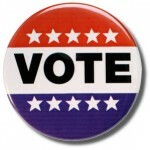 Here’s a round up of voter information for the November 7 city elections. Time to get out and vote, Squantumites! And for a sweet treat, pick up some baked goods at the polls to support the Squantum School. Representative Bruce Ayers provides a free service for the elderly, handicapped, and disabled residents of Quincy or Randolph. This service will pick up voters in wheelchair-accessible vans, drive them to their polling location, and drive them home after they have voted. Contact Bruce Ayers to schedule a ride or for more information. Six candidates are running for three seats. See video statements from each candidate below. 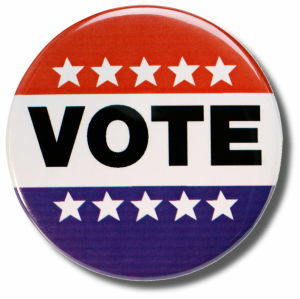 Six candidates are competing for three school committee seats. In Quincy, like in so many cities and town across our nation, we see and feel the impact of the opioid crisis on a daily basis. Recently we learned that the City of Quincy plans to sue the drug industry for selling drugs knowing the risk of addiction. As noted in a recent Globe article, Quincy became one of the first cities in the country to give the overdose antidote Narcan to its first responders in 2010 and has tripled the size of its drug unit and sponsored a treatment center. 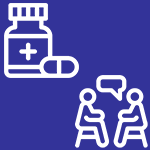 Our city of 94,000 has witnessed 163 opioid-related deaths over the past five years. While we read about the crisis in the news every day, we see the impacts across our community, state, and nation. This issue hits us here at home. On November 15, please join the Squantum Community Association for a conversation about this pervasive public health issue. The SCA has invited a great panel of experts to share their insights into the issues surrounding the origin of the opioid crisis, its impact on the community, and efforts to prevent abuse and to assist those who are addicted. You’ll have a chance to ask questions as we all seek to gain a greater understanding of this issue. 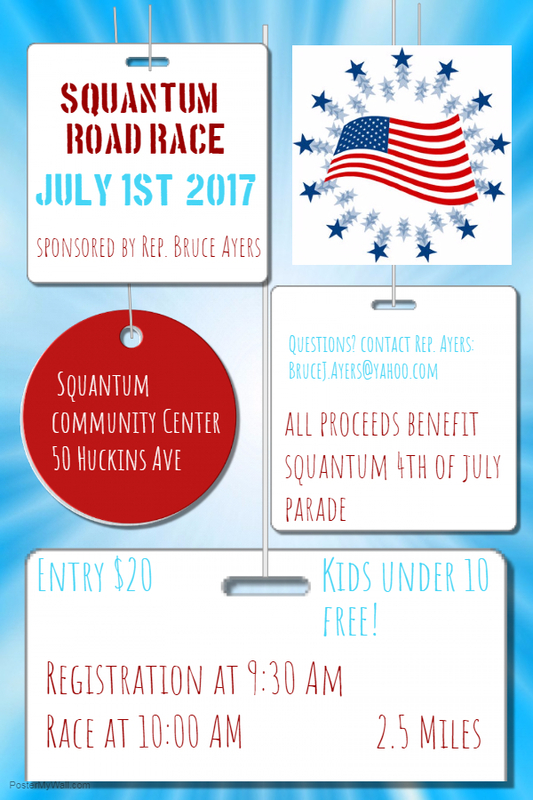 For more information about this event, email the Squantum Community Association. 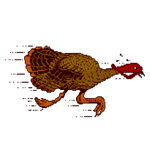 Join the Squantum Community Association on November 1 to meet the candidates running for three At-Large seats on the Quincy City Council. Come meet the candidates interested in serving our community. At this informal gathering (not a debate) each candidate will share their thoughts in an opening statement and residents will be invited to pose questions. Residents wishing to send questions for the candidates in advance can email the SCA and we will pose them to the candidates on your behalf. For more information about this event, email or call Louise Grabowski at 617-851-1673. Please note: we are confirming if all six are attending. Join the Squantum Community Association on August 30 to meet the candidates running for the Ward 6 seat on the Quincy City Council. Come meet our three neighbors interested in serving our community. At this informal gathering (not a debate) each candidate will share their thoughts in an opening statement and residents will be invited to pose questions. The council seat in Ward 6 serves Squantum, Marina Bay, and parts of North Quincy. Residents wishing to send questions for the candidates in advance can email the SCA and we will pose them to the candidates on your behalf. 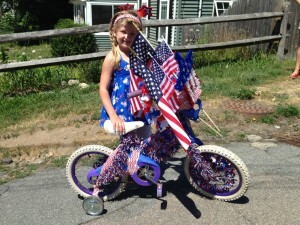 Looks like it’s shaping up to be a fabulous July 4th holiday weekend! 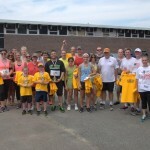 Kick it off on Saturday at the annual road race sponsored by Bruce Ayers. 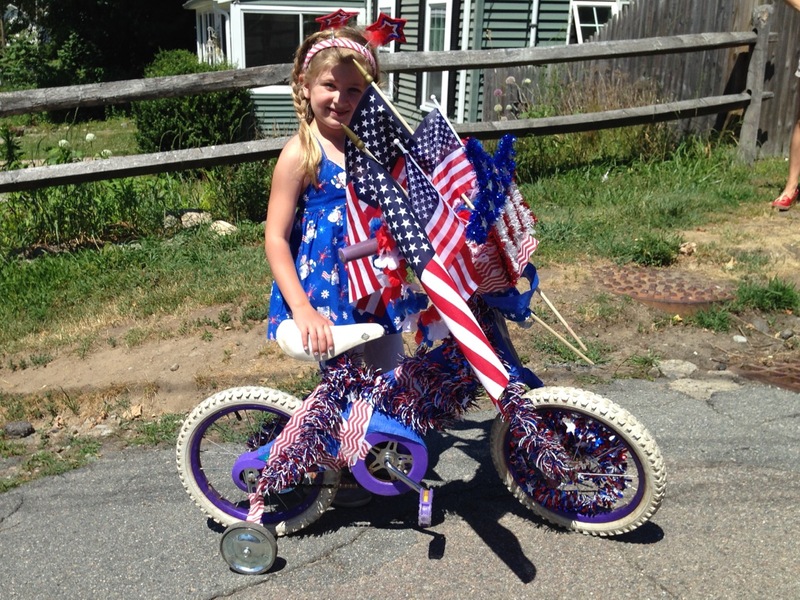 Grab your peeps and run around the hood while supporting the July Fourth parade! 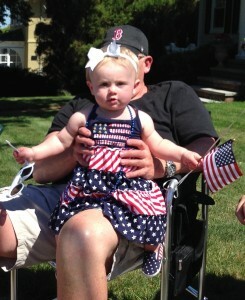 All proceeds benefit the Squantum 4th of July Parade. Saturday, June 24! 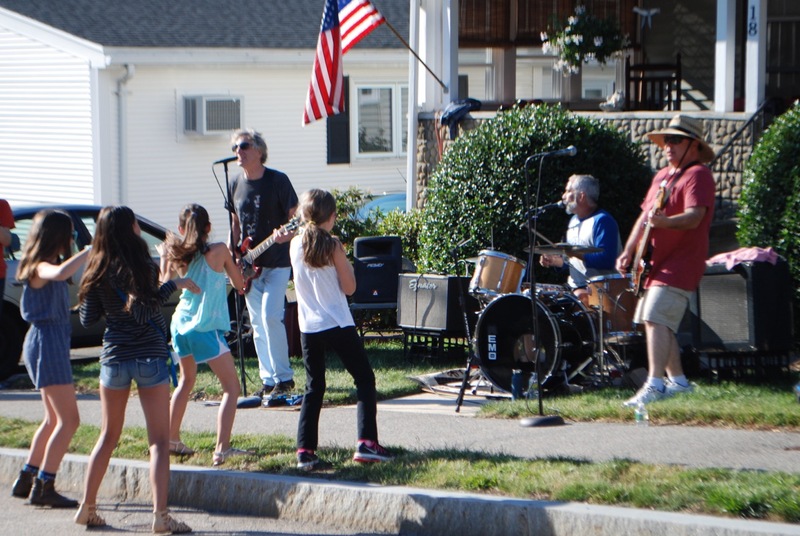 After the great success of last year, PorchFest Quincy is returning to Squantum from 4–8 PM, bringing bands to porches and driveways across our neighborhood. 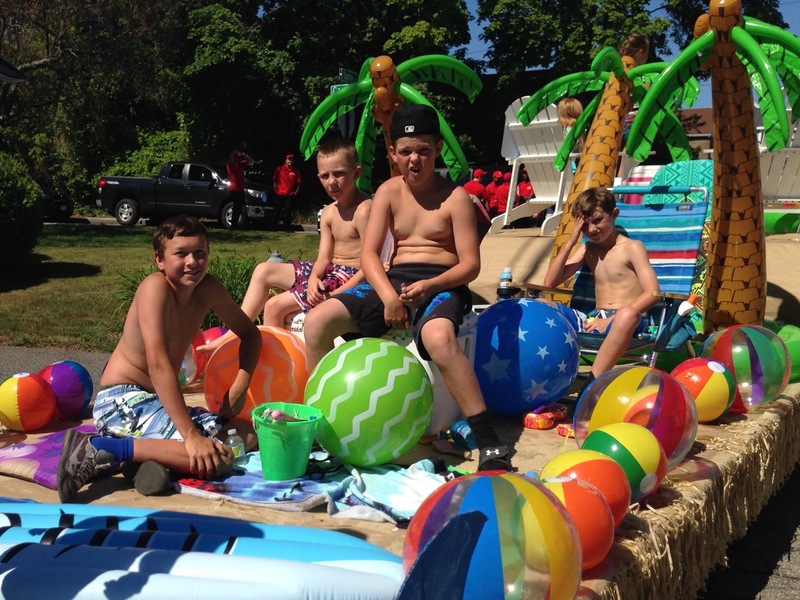 Festivities are rain or shine and extend from 1–8 PM across Quincy. 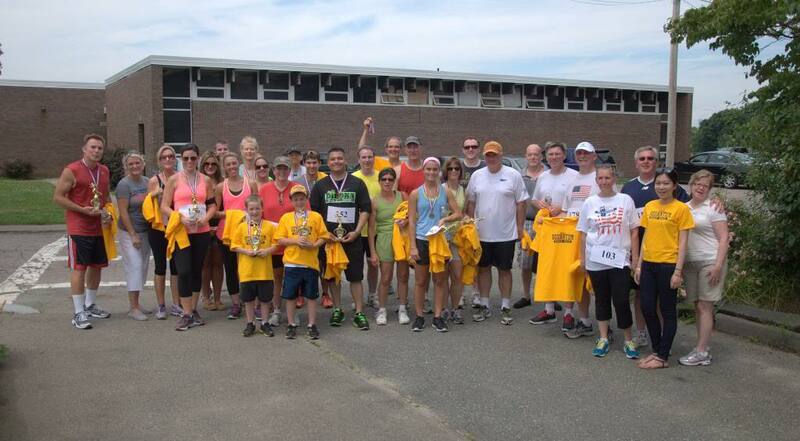 A new addition this year…you can grab some nosh at food trucks at the Wollaston Elementary Schoolyard, or a cold one at the Beer Garden in Squantum. Locations for these two sites are being added to the online map. 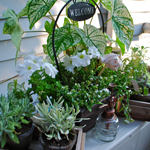 PorchFests are free, live music events held on front porches across a city. PorchFest music festivals bring local bands, singers, and instrumentalists together with neighbors to enjoy music of any genre. Music can range from country to pop, classical to reggae, and everything in between—blues, rock, jazz, Latino, R&B—anything goes! Performances are staggered throughout the afternoon so neighbors can walk from yard to yard enjoying each other and the great music. 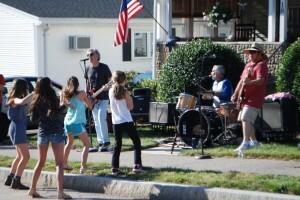 View the full schedule of bands and locations on the PorchFest website. The site includes an interactive map showing band locations, and band profiles. Organizers plan to post a printable schedule on the site by the end of the day Friday, and the map will be updated to show locations of the Beer Garden and food trucks. 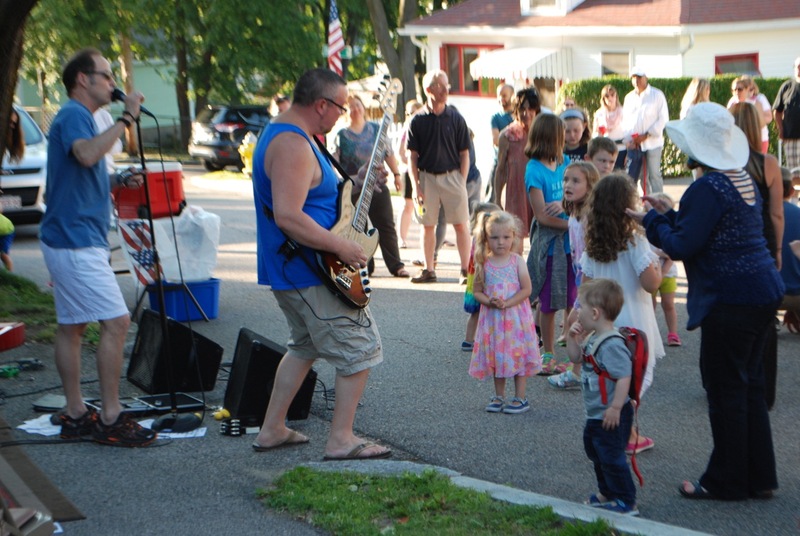 Share your fun by tagging photos/videos with #porchfestquincy. PorchFest is an entirely volunteer effort – bands, porch hosts, and organizers volunteer to bring this great event to our neighborhoods. Visit the site to make a donation or purchase PorchFest T-shirts. View photos from the 2016 festival. 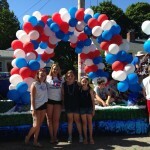 Get your float on…sign up today for July Fourth parade! 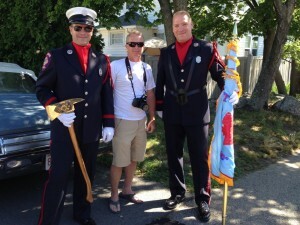 It’s another glorious start to summer in Squantum and the pinnacle of our year is just around the corner. 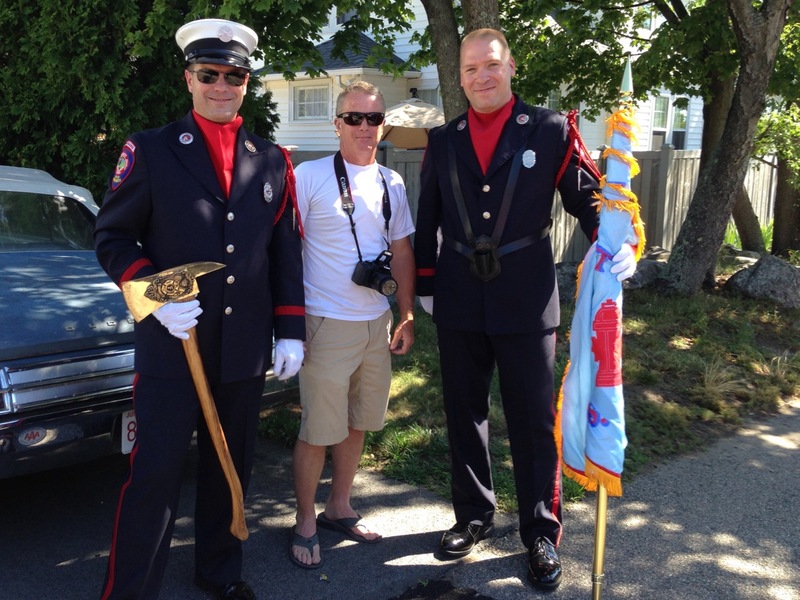 We spotted Jim and crew hanging flags along the parade route and that means one thing…you’re planning your red, white, and blue, and gathering the neighbors to come up with your award-winning float ideas! 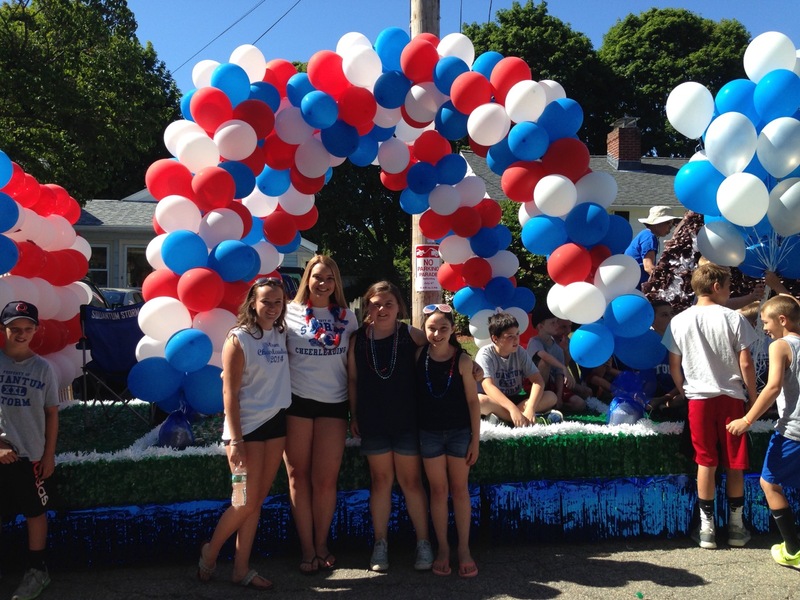 Give Paula and the July Fourth Parade Committee a call today and sign up your floats and marchers and send in your Grand Marshall nominations for the big day! Tuesday, July 4, 2017 at 10 a.m. Feeling nostalgic? 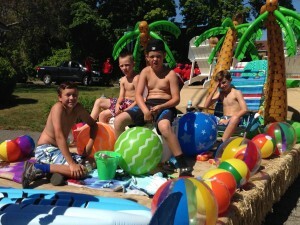 Check out photos from the 2016 parade in the Scoop photo gallery. Help create a vision for Quincy as we approach our 400th! 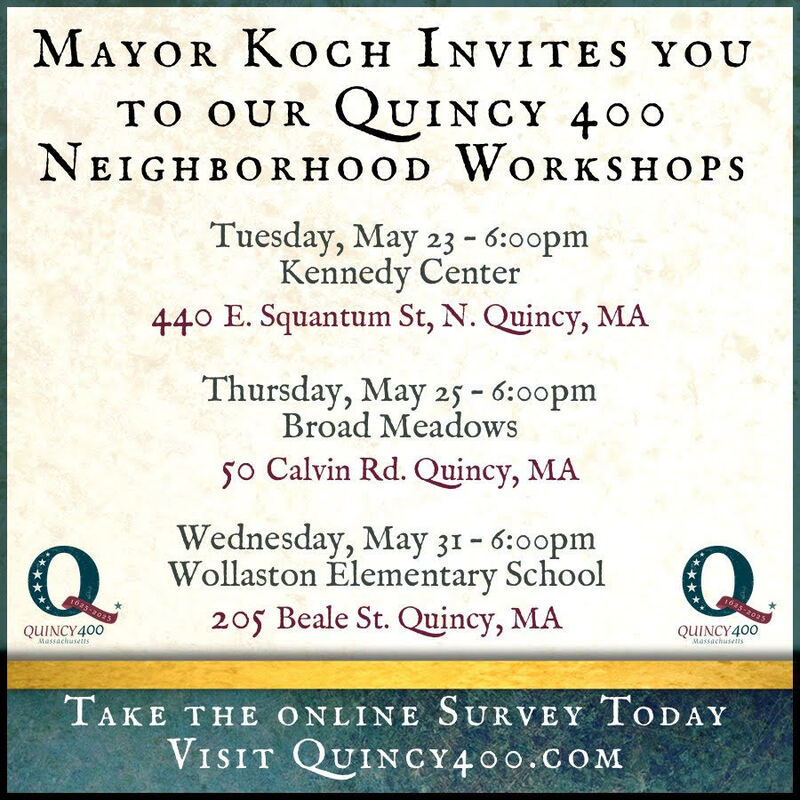 Mayor Koch is inviting the city to join him in thinking about plans for Quincy’s future as we approach the 400th anniversary of the settlement of Quincy in 2025. Where do you think we should be in 2025? Head over to the Kennedy Center tonight at 6pm to hear more and share your ideas! Learn about Quincy 400 on their website. 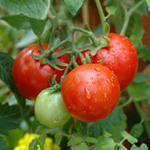 Just in time for Mother’s Day…the Seaside Gardeners Club of Squantum invite you to the Spring Fling Boutique and Luncheon. 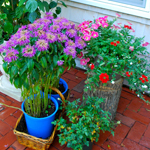 Come shop a fabulous selection of flowering plants, herbs, succulents, and greens to inspire your garden this season. 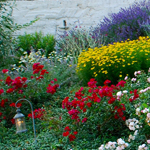 Select from lush hanging baskets, pretty annuals in an assortment of colors to match your garden color scheme, and beautiful perennials nurtured by garden club members and featured garden centers.